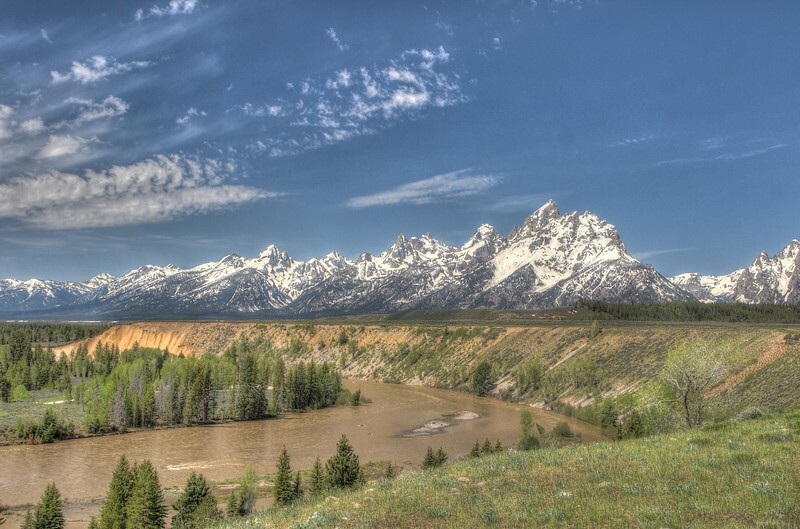 In 1886, four men set up camp on a wide gravel bar along the north bank of the Snake River to look for gold. Later, three of the men were found with their bodies half-buried in the Snake. The three men had been weighted down with stones, but the river’s flow had fallen enough to expose their bodies. When law enforcement officers apprehended the fourth man, he admitted to killing his partners—but insisted that he’d acted in self-defense. Did he get away with murder—three times over? The site of the triple murder, now located within Grand Teton National Park, has ever since been known as Deadman’s Bar. 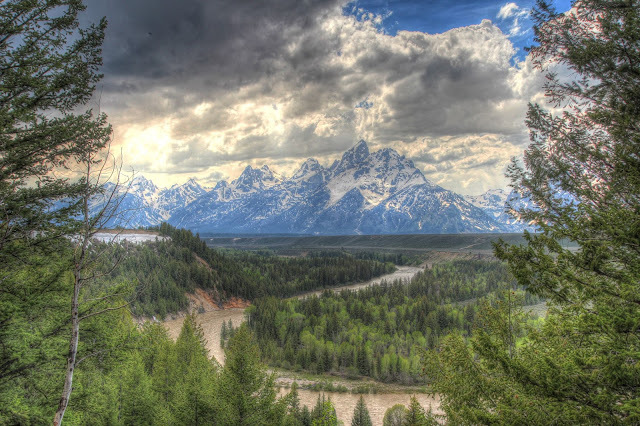 The Grand Teton Range with the Snake River flowing through the valley. This photography was taken just a few steps away from the famous Ansel Adams photo. The Big Dipper (is an asterism (not a constellation) of seven stars, with four defining a "bowl" or "body" and three defining a "handle" or "head", that is recognized as a distinct grouping in many cultures. These stars are the brightest of the formal constellation Ursa Major; six of them are second magnitude stars, while only Megrez (δ) is of third magnitude. The North Star (Polaris), the current northern pole star and the tip of the handle of the Little Dipper, can be located by extending an imaginary line from Merak (β) through Dubhe (α). This makes it useful in celestial navigation.